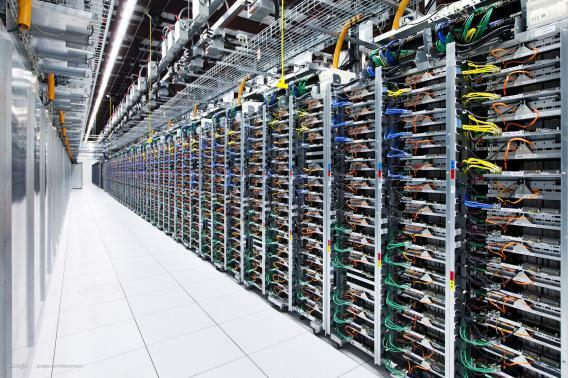 Google data center photos prove the Internet really is a series of tubes. The Internet: It Really Is a Series of Tubes! 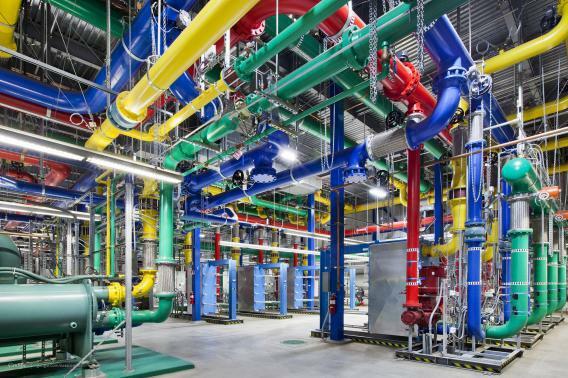 These colorful pipes are responsible for carrying water in and out of Google’s Oregon data center. The blue pipes supply cold water and the red pipes return the warm water back to be cooled. When you’re on a Google website (like right now), you’re accessing one of the most powerful server networks in the known Universe. But what does that actually look like? Here’s your chance to see inside what we’re calling the physical Internet. Don’t worry about security, though: The servers still have a storm trooper guarding them. Here are the data centers in Street View. And below are a few of Zhou’s photos, along with Google’s YouTube video about the project. The full gallery is here. Each server rack has four switches, connected by a different colored cable. 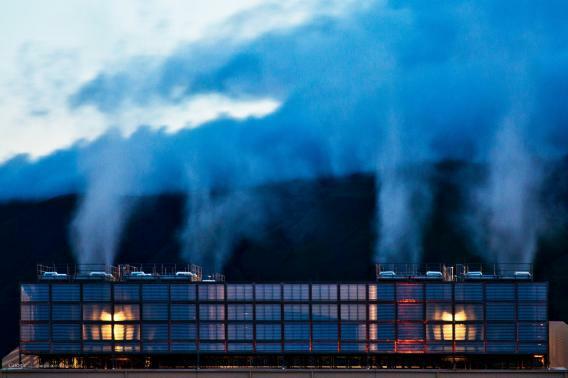 Steam rises above the cooling towers in The Dalles data center in Oregon. A rare look behind the server aisle. Here hundreds of fans funnel hot air from the server racks into a cooling unit to be recirculated. 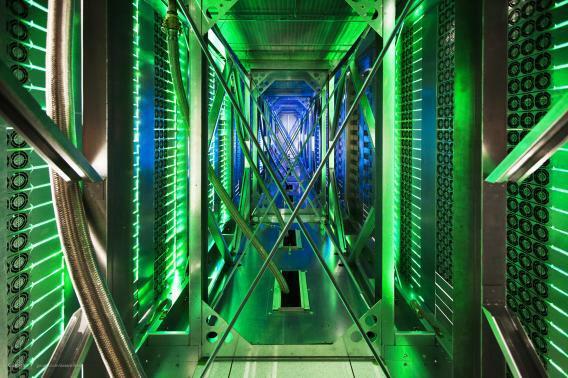 The green lights are the server status LEDs reflecting from the front of Google’s servers.